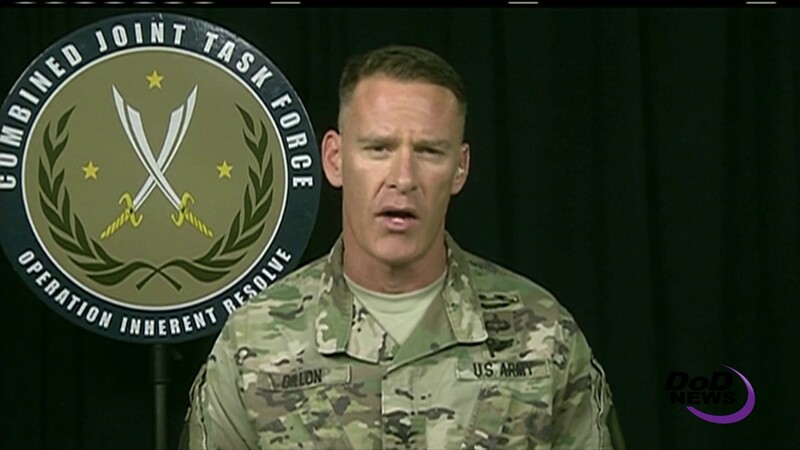 Iraqi forces have made significant progress in the past two days in its fight to liberate western Mosul, Iraq, from Islamic State of Iraq and Syria control, said Army Col. Ryan Dillon, spokesman for Combined Joint Task Force Operation Inherent Resolve. Speaking to Pentagon reporters from Baghdad via teleconference, the spokesman said the Iraqis have pushed their way into the old city sector and isolated Al-Jamhara Hospital, which severed the two remaining ISIS-held areas of western Mosul. But, emblematic of its own impending destruction, Dillon said, on June 21 ISIS destroyed the historic Great Mosque of al-Nuri from which ISIS leader Abu Bakr al-Baghdadi proclaimed the caliphate in July 2014. And significant effort that will be required to stabilize western Mosul, Dillon said. “However, if there was any doubt in Iraqi resolve, in their ability to quickly rebound from adversity, all you need is to go to [eastern] Mosul,” he noted. Since the Iraqis liberated eastern Mosul at the beginning of the year, 191,000 Moslawis have come back to their homes; 350,000 children have returned to school, where 320 out of 400 schools have reopened; and four of nine water treatment plants are providing water to nearly 1 million people with more than 3.5 million liters trucked in every day. “The greater coalition will do all we can in working with Iraqi authorities to make sure that these trends continue, while mindful of the extraordinary, difficult nature of this battle and what lies ahead,” he said of western Mosul. In Syria, Dillon said Syrian Democratic Forces are making progress in its offensive operations to liberate Raqqa from ISIS control. The SDF have retaken 45 square kilometers of ground -- about 17 square miles -- from ISIS in and around Raqqa in the past week while fighting along three axes toward the city’s center despite strong ISIS resistance, he said. The spokesman also noted that a U.S. F-18 Super Hornet shot down a regime SU-22 jet on June 18 in defense of coalition-partnered forces that were operating within an agreed-upon regime SDF de-confliction area. And in southern Syria, a U.S. F-15 shot down an Iranian-made Shahed 129 armed drone as it approached our forces near al-Tanf, he said. The regime drone, advancing in a manner that was similar to a June 8 attack, was shot down as it approached its weapons employment zone.